"... Really enjoyed these bars when they were available. Nice chunk of 30 grams of protein plus a bundle of fiber. Taste was also above average and quite enjoyable to eat. It was closer to a meal-replacement bar instead the average protein bar in my opinion - which is much more useful in my eyes." "... Impressed with the fibre content, really does help out with that aspect if yoyu know what I mean." "... One of the best protein bars I've had, very good tasting which is crucial for my selection. A+"
"... Just tried one of these from a friend, I think it was the Triple Chocolate Crisp flavor, anyways it was very good. Very tasty, much better detour and it doesn't make me gasy like other protein bars do usually." 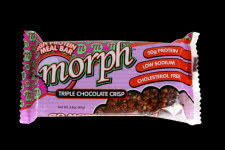 The All New Morph Protein Meal Bars are the Provided High Protein with Sustained Energy! 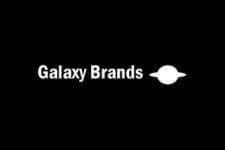 Galaxy Brand has designed the optimal protein bars that's much more than just plain protein. Morph bars are an excellent source of high protein that subsititutes as a healthy meal! Along with the thirty grams of protein in each bar, you're also getting a serving or fibre. Perfect combination of balanced ingredients, great taste & sustained energy throughout the day! Amazing Flavor & Convenient Source of High a Quality Protein Meal! 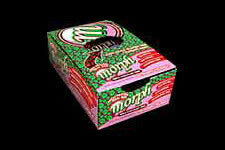 Morph is Low in Sodium, Contain no Choleserol & No Sugar Alcholol!